ERGO pistol grips are designed to be installed on both 5.56/.223 and .308 AR-15 type lower receivers. These grips are comfortable and ambidextrous. The finger grooves are ergonomically correct. The overmolded SUREGRIP material provides a non-slip grip, even with wet or gloved hands. This kit includes the ERGO Gapper, which fills the small void in front of the pistol grip up to the trigger guard. 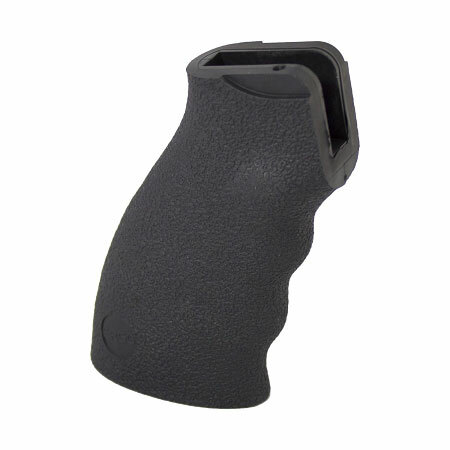 It cushions the knuckle when holding the grip, and helps prevent debris from entering the open space, as well as provides a more finished look.